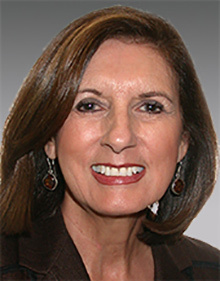 Linda Griego is an entrepreneur whose career encompasses civic leadership and government service. Since 1988, she has been the President and CEO of Griego Enterprises; she is also well-known as the founder and former owner of downtown restaurant Engine Co. 28. Other career highlights include serving as deputy mayor to Tom Bradley, as President and CEO of the L.A. Community Development Bank, and as President and CEO of Rebuild LA. Linda continues to be active on the boards of several publicly traded companies, philanthropies, and nonprofit organizations. Born and raised in New Mexico in a Mexican American family of bakers and railroad workers, she attended Pomona College and received a bachelor’s degree from UCLA. In 2008, she received the UCLA Medal, the highest honor bestowed by the university. She joined the Parsons board in 2014.